primary concerns and we have taken every precaution to protect it. The following websites are provided as a resource for our referring doctors. This page contains hyperlinks to Internet sites that are created and maintained by other organizations. We have included these links because we think that our referring doctors may find them of interest. 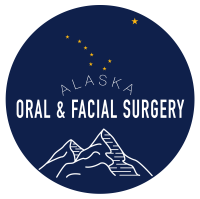 Keep in mind that Alaska Oral & Facial Surgery Center, Inc. does not necessarily endorse the views expressed on these websites. Also, we do not guarantee the accuracy or completeness of any information presented on these sites.